Max Perlinski (1874 – ?) 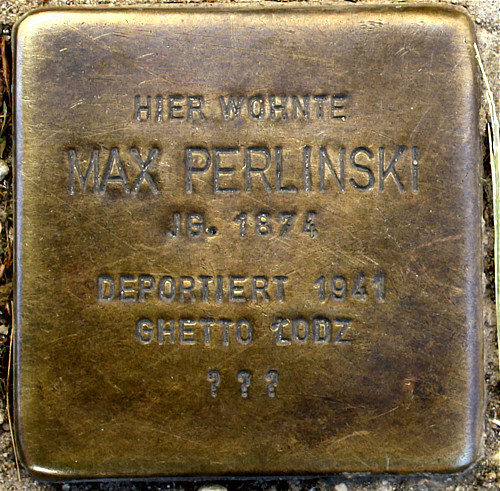 and Leonore Perlinski, née Saklikower (1873-1942) lived in Gubener Straße. He was a voting member of the synagogue community of Frankfurt (Oder). On 18 October 1941 the couple was deported with over 1000 other people to the Litzmannstadt Ghetto. 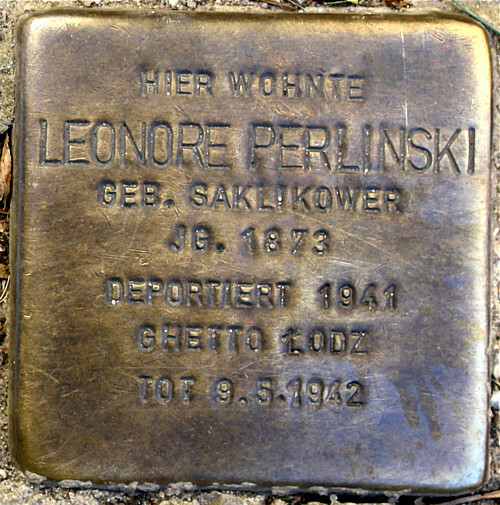 Leonore Perlinski died there on 9 May 1942. Nothing is known about the further fate of her husband.